Praise the Queen, Destiny 2&#39;s Petra Venj is now standing next to the Dreaming City spawn point. Praise the Queen, Destiny 2's Petra Venj is now standing next to the Dreaming City spawn point. 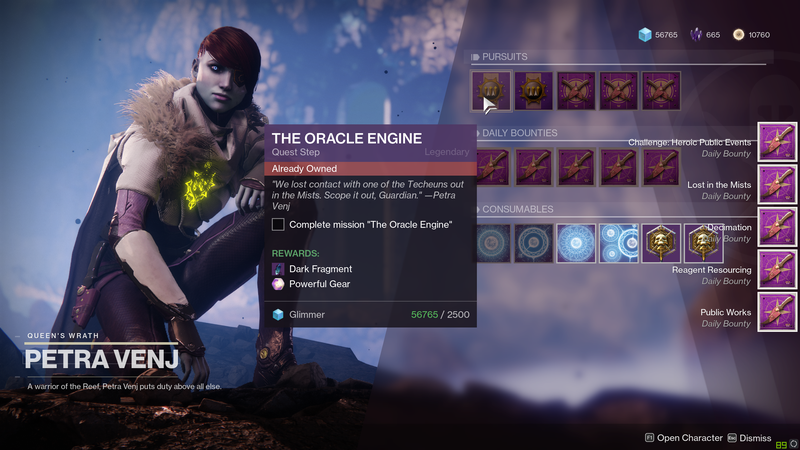 She’s got a new quest on offer, and it appears the Hive have begun to take over the City thanks to the curse unleashed by the raid’s completion.